More than 39 000 kg of waste was collected by the Plastics|SA Clean-Up Crews that cleaned up the routes used by the athletes during the recent Old Mutual Two Oceans Marathon, widely known as "The World’s Most Beautiful Race". According to Douw Steyn, Director: Sustainability at Plastics|SA, the majority of the waste collected during this annual event is made up of plastic, which has a high recycling value. Ocean View and Athlone. Many of the members of these clean-up crews have been working with us for the past 10 years on race days and are trained to quickly and effectively sweep the areas”. Steyn remarked that it was clear from this year’s events that athletes and spectators had a heightened awareness of the importance of not littering and keeping their environmental footprint as small as possible. “The organizers of this year’s Old Mutual Two Oceans Marathon in particular did an excellent job with their #GOGREEN campaign that was launched prior to the race. This is anti-littering movement which, coupled with our waste management plan, offered a sustainable way to collect and process the non-organic waste which was generated during race week. All event waste will be recycled and transformed into approximately 500 Green Desks for needy schools in and around Cape Town, thanks to a partnership between the Wildlands Conservation Trust and POLYCO (Polyolefin Recycling Company),” Steyn says. 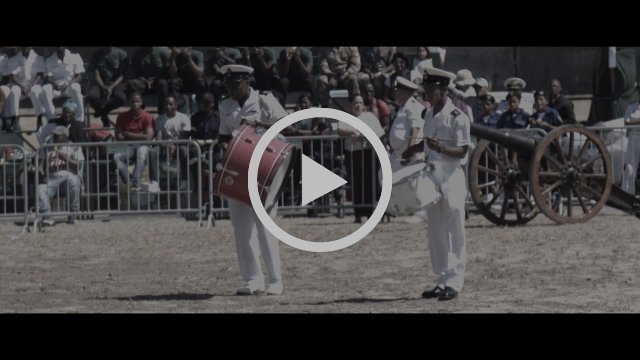 The Plastics|SA Clean-Up crews were also responsible for collecting the waste generated by spectators attending the SA Navy Festival and the Cape Town Cycle Tour in March. “Although the cycle race was cancelled due to extremely windy conditions, our teams were hard at work prior to the race day and after break-up by the maintenance crews to ensure that the roads were left litter-free. We look back at two very busy, but very rewarding months. Under the guidance of Plastics|SA’s Sustainability Manager, John Kieser, our crews did a phenomenal job of collecting the waste and raising awareness about the importance of recycling. We applaud the organizers of all three events for their pro-active approach to waste management and event greening,” Steyn concludes.